Is Apple making similar mistakes with the Apple TV? Apple may have established itself well enough in the portable gaming market with the iPhone and iPad to the point that even Nintendo has felt threatened, but more than 20 years ago the tech giant tried to break into the console market without quite as much success. The tale of the Apple Bandai Pippin is one with very few ups and seemingly constant downs; it's a rare instance of Apple looking more Icarian than Olympian. The Pippin’s origin story takes us more than 20 years into the past. All the way back to 1993 in fact. After a period of internal tension over the direction the company was taking, and after the well-publicized ousting of co-founder Steve Jobs was followed by the departure of CEO John Sculley, former COO and Apple Europe success story Michael Spindler took over the Cupertino company's top role. When Spindler took over the position of CEO, Apple was in a reasonably strong position when it came to selling computers but it was having massive amounts of trouble elsewhere. It was funneling relatively large sums of money into research and development but securing very little return on the variety of projects coming out of it. In the face of increasing financial pressure and the rising popularity of Windows PCs, Spindler introduced something called the ‘Clone Initiative’, a move designed to license out Apple's software onto third-party devices. The Pippin games console came out of this initiative. As part of it, Apple planned to license the Pippin's design itself out to third parties who would then create sell their own versions of the system. The first partner Apple managed to get on board was the massively successful Japanese toymaker, Bandai. Though they had some games console experience, Bandai was still predominantly involved in the physical toy market, producing products for huge IPs such as Power Rangers. Despite its success with toys, Bandai's young CEO wanted to modernize and Apple’s console was an opportunity to do so. Both companies agreed that Bandai would be responsible for making and marketing the console while Apple would cover research costs and retain the console’s licensing rights. Though the Clone Initiative and by extension the Apple Pippin were largely borne out of an increasing desperation and financial pressure, when the LA Times covered the console’s unveiling at a 1994 Tokyo Trade Show everyone involved sounded hopeful. Bandai had dreams of selling half a million consoles annually and Apple said the technology was "totally unintimidating", predicting it would be "the forerunner of multimedia equipment capable of bringing text, video and audio into millions of households that have held back from buying personal computers because of their cost or complexity." In fairness, they had some reason to be hopeful – the Pippin boasted good specs and some progressive ideas that were arguably too ahead of their time. Apple hoped it would be more than a games console – they wanted it to be a console for work and play, something "for educational, entertainment and information purposes." The Pippin used a simplified version of the Mac operating system and it was faster and more powerful than most other consoles on the market. It had a 4x CD-Rom drive, built-in internet access, expandable memory (what happened Apple?) and it supported 8 and 16 bit color. It was even region free and had a wireless controller called the Applejack as well as keyboard and mouse support. So what went wrong? Oh, where to begin? Firstly, there was the competition. At that time Nintendo and Sega dominated the console market and the now hugely successful Sony PlayStation hit Japanese stores in 1994 just before the Pippin itself launched in March 1995. When the console did launch in Japan as the Atmark it retailed for 64800 yen (around $650) including 4 games and a dial-up modem. A few months later the US model called the @WORLD launched for $600 bundled with a 6 month unlimited internet account from PSINet for $25 per month. These prices were around three times higher than the price of the Nintendo 64 and doubled the PlayStation’s $299 price tag. It’s weird to think of Apple as the little guy, but in the console market it certainly was even if it didn’t price its console in a way that reflected this. The company hoped it might gain an advantage over the larger console creators by forging good relationships with game developers and securing attractive exclusives. With the Pippin Apple was offering developers a console that would allow them to create a single game that could run on the (hopefully) multiple versions of the Pippin with no region limitations. They were effectively giving games a longer shelf life and taking a lot of pressure off developers. Unfortunately, Apple wasn't able to offer the same market advantages as the big console developers on top of this. In the end the console only managed to commercially release 25 titles which goes a long way to explaining its incredibly poor sales. It’s hard to find an exact number but it’s estimated that they topped out at around 42,000. That's not quite half a million annually. By mid 1996, sales were disappointingly low with no signs of improvement and as a result developer interest continued to stay low. In 1996, Spindler was replaced as CEO by Gil Amelio and production for the console ended with Bandai having to ship thousands of unsold units back to Japan. The final death knell rang in 1997 when Steve Jobs returned to the company and dismantled the Clone Initiative. So, it’s hard to pinpoint exactly what went wrong in this bushel of problems. Was it the lack of software, or the exorbitantly high price tag? Either of these problems are bad on their own but together they’re catastrophic. Maybe it had something to do with the fact that Apple didn’t spend nearly enough time on the product, pushing most of the marketing responsibilities onto Bandai, a company whose name held little weight with console gamers of the time. 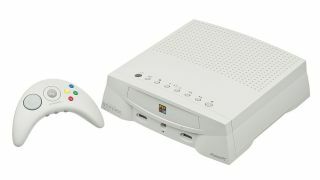 The lack of gaming credentials wasn't helped by the fact that the console had a name that was intentionally separated from gaming as Apple "did not want to choose a name that would be specific for a certain market space as it will certainly appeal to many types of consumers and be shipped in a variety of forms from many manufacturers." Or it could have been that people wasn't quite ready for a multimedia device that wanted to do everything. Apple may have believed that "families are looking for more than video game players today" but it seems that was untrue. Most likely it was all of these things combined. Now, Apple is a company that has firm control over its hardware and software. Something like the Clone Initiative would be unthinkable behavior from the Apple of today. Considering, however, a controlling nature and an unwillingness to cooperate productively with third party developers is something that’s harmed even the hugely successful Nintendo, it’s unlikely a second attempt at creating a console would go well for Apple now either. Though the company has tried to bring a slight gaming focus to the Apple TV, it’s hard not to draw comparisons between it and the Bandai Pippin – powerful hardware but a relative lack of games/apps; a lack of attention from Apple; and a high price point compared to competition in an already saturated market. We don’t like to sound like doomsayers but...well. We’ll just direct you to the Pippin’s tombstone on the Apple site.